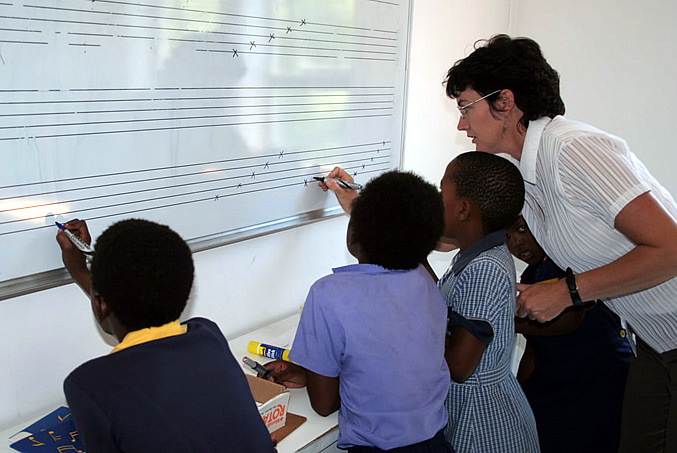 Theory Classes: In 2003 a group of students were taught music theory lessons in preparation for their UNISA exam. 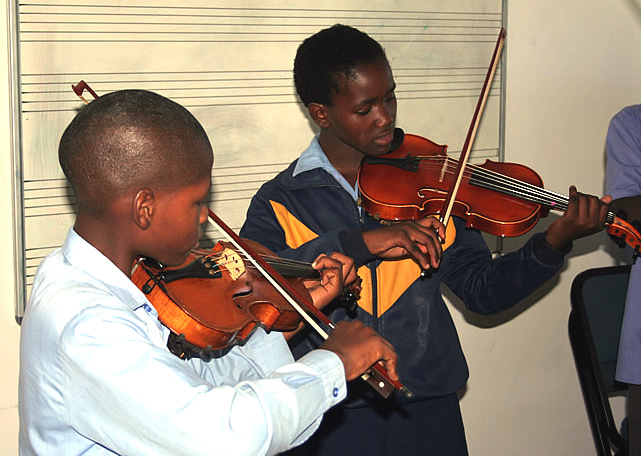 This was expanded in 2004, and three groups of students are now taught Music Theory by the college and prep music staff, in preparation for both UNISA and ABRSM theory exams of various grades. Both examining boards have given us generous assistance in terms of either providing books or covering examination fees. 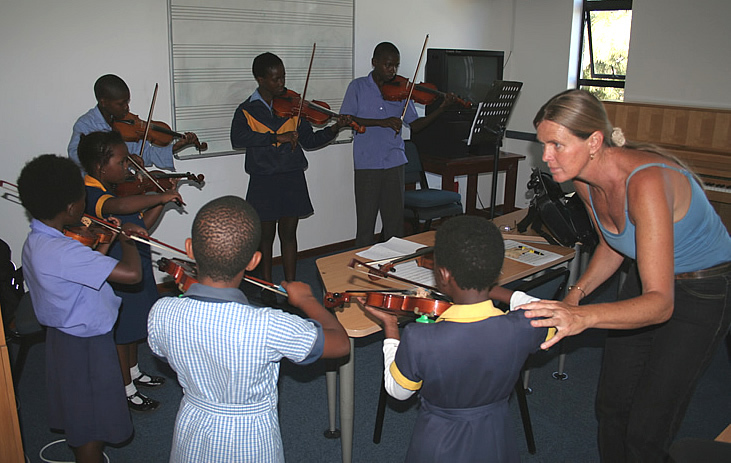 Violin Lessons: In 2003 the school was able to purchase a number of violins and a group of students began group violin lessons with Mrs Blake, one of our part-time teachers. This programme was also expanded in 2004 to include a larger group of pupils and will, over the years, be expand to different instruments. Music Technology: This programme also began in 2003, where pupils are able to work in the SoundHouse, composing loop-based music. This is a very similar programme to what is offered to our Grade 8 and Grade 9 Arts and Culture pupils. Choir Training: On a termly basis workshops are held at Bishops for choirs and their trainers from schools associated with the Foundation.